La Plata Electric Association has set a new goal to cut its carbon footprint by 50 percent by 2030 while keeping costs low for members. 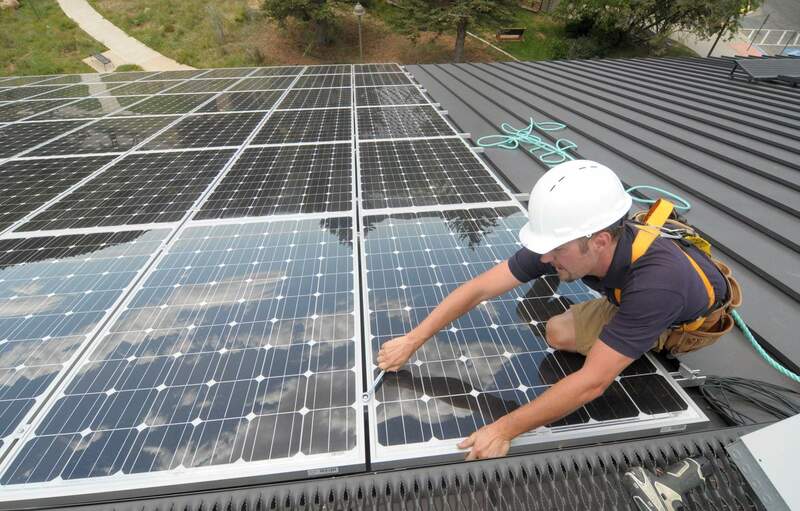 La Plata Electric Association set ambitious goals last week to cut its carbon footprint by 50 percent and keep costs lower than 70 percent of its peer cooperatives in Colorado. “Keeping rates low and affordable is usually the number one concern,” he said. The goal was developed by LPEA staff and is meant to be realistic and broad enough to take into account the effect of new technologies that will reduce carbon emissions but are not yet widespread or developed, said Ron Meier, manager of engineering and member relations. For example, advanced air filters may help radically cut emissions at power plants, he said. LPEA member bills are already lower than 70 percent of other Colorado co-ops, and LPEA plans to maintain low rates when compared to other co-ops no matter what carbon-cutting measures the co-op takes, Meier said. Some residents have called on LPEA to buy out its contract with Tri-State to develop more local renewable energy, which they argue could bolster the local economy, protect the environment and lower rates long-term, saying the price of renewable energy is falling. Other residents oppose a buyout because it may be risky and costly. However, it might be possible for LPEA to cut its carbon footprint by 50 percent without leaving Tri-State, Landis and Montoya said. The falling cost of renewable power and a state policy to pursue renewable energy could encourage Tri-State to make more investments in alternative energy, Landis said. “There is certainly external pressure, and that gives me some hope,” she said. Last week, Tri-State announced plans to build a 100-mega-watt solar array, across 660 acres in Las Animas County, according to a news release. The project will more than double Tri-State’s solar production. The wholesale supplier says on its website that it produces 30 percent of its power through renewable sources, but it also relies heavily on coal-fired power plants. Tri-State is also interested in changing its bylaws this spring to introduce new classes of membership to the co-op that would not have to abide by the 5 percent cap, Meier said. Tri-State wants to adjust the bylaws because it is interested in accepting new members that have existing contracts with other power suppliers, he said. It is not known if LPEA could change its membership class to purchase power from other suppliers, he said. In recent months, a power-supply committee has been exploring alternatives to purchasing power from Tri-State. The group plans to present its findings to the LPEA board in April, Meier said. The findings of the committee could inform a buyout from Tri-State. “We have just put a big statement out there and now the membership is going to judge that statement and whether that’s what they want, and they will let us know and we will adjust accordingly,” he said.